Some good news for one of Hollywood’s favorite sons: It looks like all is forgiven for poor, misunderstood Mel Gibson. Oh sure, he famously made some outrageously antisemitic comments when he got arrested for a DUI, he was allegedly abusive to his former girlfriend Oksana Grigorieva, and he supposedly threw an ashtray through a wall when Paramount wouldn’t give him the budget he wanted for Braveheart in the ‘90s, but that was all before he made Hacksaw Ridge. That movie made some money and got some Oscars, which is all you need to do to earn Hollywood’s forgiveness. Now, as reported by Variety, Gibson is set to write and direct a remake of the old Sam Peckinpah film The Wild Bunch. The original is a Western about a group of outlaws looking for one, last Wild West score before retiring from the shoot-em-up game forever, but the Variety story says it’s unclear if Gibson’s movie will be a straight remake or some kind of new take. 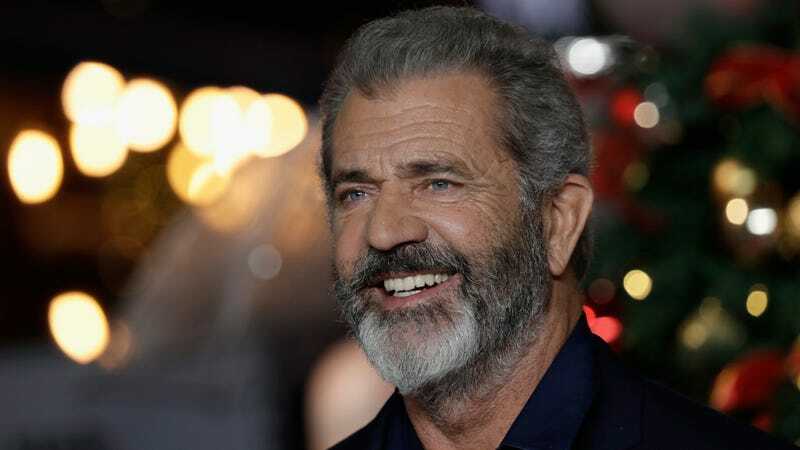 We’re just happy that Gibson is getting work again, especially since there aren’t any other directors in the entire world who could film a remake of an old Western and never once said that “the Jews are responsible for all the wars in the world.” So yeah, good for Mel Gibson and good for Hollywood!